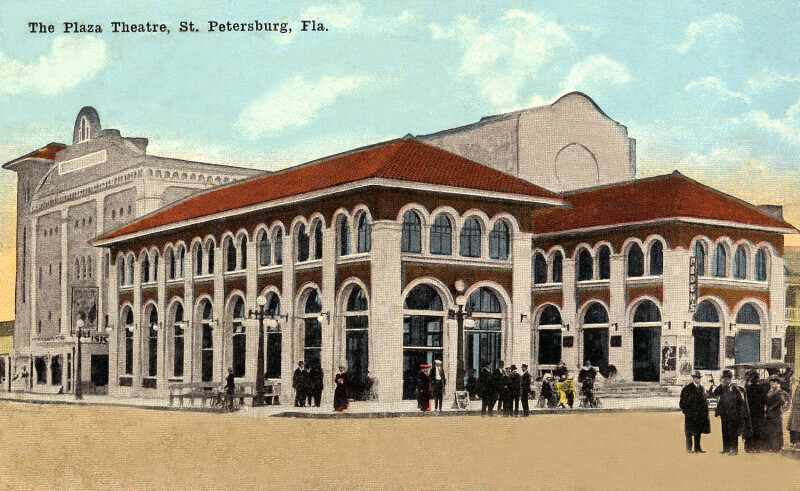 The Plaza Theatre is the primary subject of this image. The theatre was constructed in the Second Italian Renaissance style. The hip roof is covered with terracotta shingles, and the second story windows are smaller than those on the ground floor. The building behind the theatre is mostly obscured, but it appears to be constructed in the Mission Revival style. Several groups of people are waiting outside the theatre, or across the street.